On Monday, March 11, the president released his proposed federal budget for 2020. It goes even further than his proposals in the two prior years to slash critical funding for housing for millions of people across the country – working poor, children, elderly, veterans, people with disabilities and others. His 2020 budget for the Department of Housing and Urban Development calls for a 16.4 percent, or $8.7 billion, decrease from the 2019 budget that Congress passed in February. The president’s proposed budget reduces funding for almost every HUD program, and eliminates altogether several programs that are vital to supporting housing for people in America at risk of homelessness. In towns and cities across the country, including Seattle, funding cuts at the level the president is proposing raises the prospect of shuttering housing because there is no money to maintain it or leaving people in need of housing and services without hope of stability and the chance to improve their lives. The Seattle Housing Authority thanks our Washington Congressional delegation for fighting the last two years, along with supportive colleagues in the House and Senate, to set the president’s proposals aside and maintain funding for HUD and other government services, showing that we are a nation that takes care of those in need. 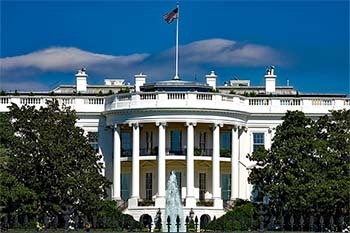 SHA strongly denounces the president’s proposed 2020 budget and will again work with our members of Congress and national affordable housing alliances in calling for a budget that reflects our values as a nation and our commitment to healthy and humane communities.